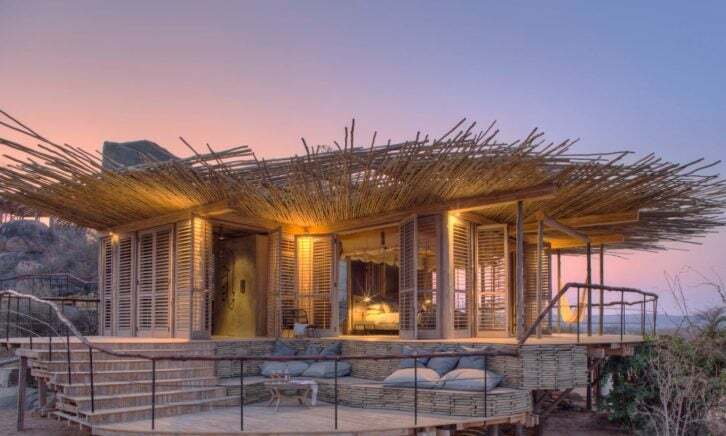 The Seychelles’ exclusive Alphonse Island resort has partnered up with luxury Maasai Mara safari camp Cottar’s Safari Service to create a new Bush and Beach experience, combining a week on a pristine Indian Ocean island with a stay on Kenya’s Maasai Mara game reserve. Giving guests the chance to go from the azure waters, coral reef and lush landscape of the Seychelles to the extraordinary wilderness of the Maasai Mara, this journey combines some of Africa’s greatest areas of natural beauty. The luxury villas on Alphonse Island are the only accommodation on any of the islands within the Alphonse Atoll, making it feel especially secluded with surroundings that remain untouched. And as the seven-night stay here includes a range of land and water activities, from snorkeling and kayaking to guided nature walks, opportunities abound to explore. The stay at Cottar’s 1920s Safari Camp on the Maasai Mara game reserve is no less rewarding with safaris activities including game drives, night drives, cultural visits and bush walks integrated into each day’s itinerary, ensuring every person fully experiences the land and wildlife here. Luxury accommodation is provided in each place, along with each day’s meals and transfers from Mahé and Nairobi. The Bush and Beach Package starts at $15,805 per person for 10 nights based on two people sharing. Find out more and book this package through alphonse-island.com and cottars.com.